During this period, he also made The Garden, 1990, a film in which the life of Christ was re-imagined as the life of a gay couple. His diaries from these years formed the publication Modern Nature, a lyrical rendition of the pain he experienced as he contended with AIDS, the anger he felt at the current political situation and the joy of working on the garden and spending time in the visually 'post- apocalyptic' landscape of Dungeness. Jarman’s parallel artistic practices collide as never before during these years and the central theme of The Garden is introduced in this exhibition by two paintings: Flesh Tint, 1990 and Matthew, Mark, Luke and John, 1989. 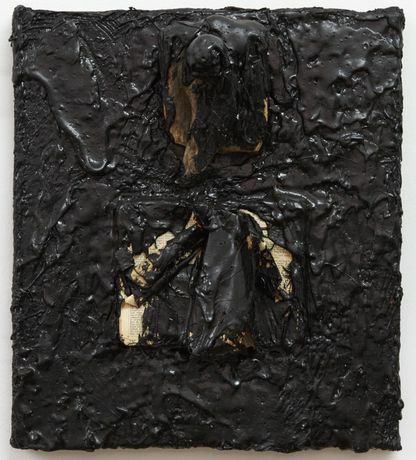 The other paintings in the show are made with tar, which covers the canvas and in which is embedded a collection of objects, such as driftwood and barbed wire found on Dungeness beach, prayer books and a crucifix, as well as old photographs and feathers (which relate to a tarring-and-feathing episode in The Garden). As with the previous series of black paintings, from 1986, the creation of these paintings often had a performative element and Jarman describes the making of two of them in Modern Nature. We lit the bonfire with driftwood and boiled up the tar as the sun set. Jarman was a political activist and was one of the first public figures to speak out about AIDS. He campaigned tirelessly for gay rights, but also spoke out against the commercialisation of the art world and the need to take care of the environment. These concerns were later poetically addressed in a chapter of his book Chroma, 'Shadow Is the Queen of Colour', which provides the title of this exhibition, where he quotes from Pliny on man’s love of gold and nature’s way of protecting itself. 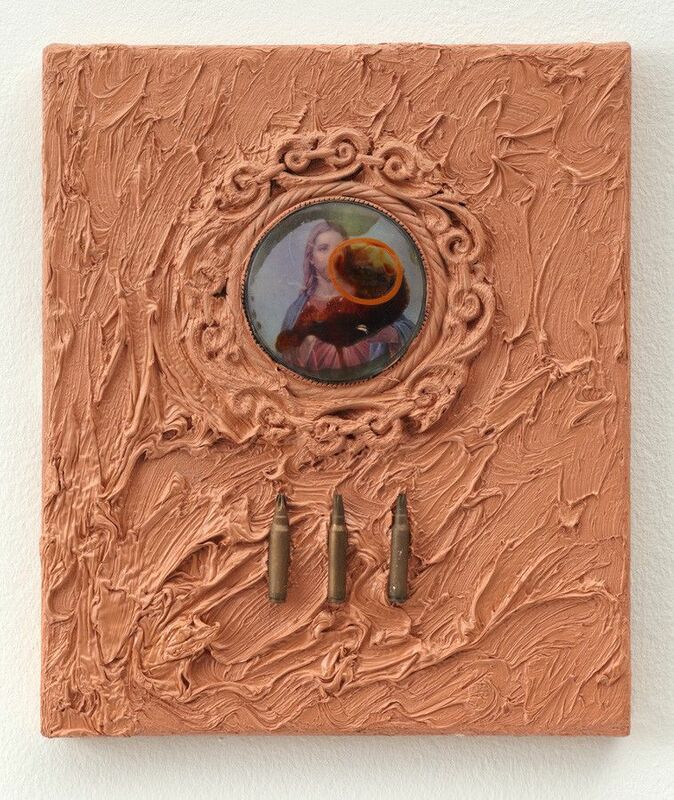 Jarman’s work also draws upon his personal history. 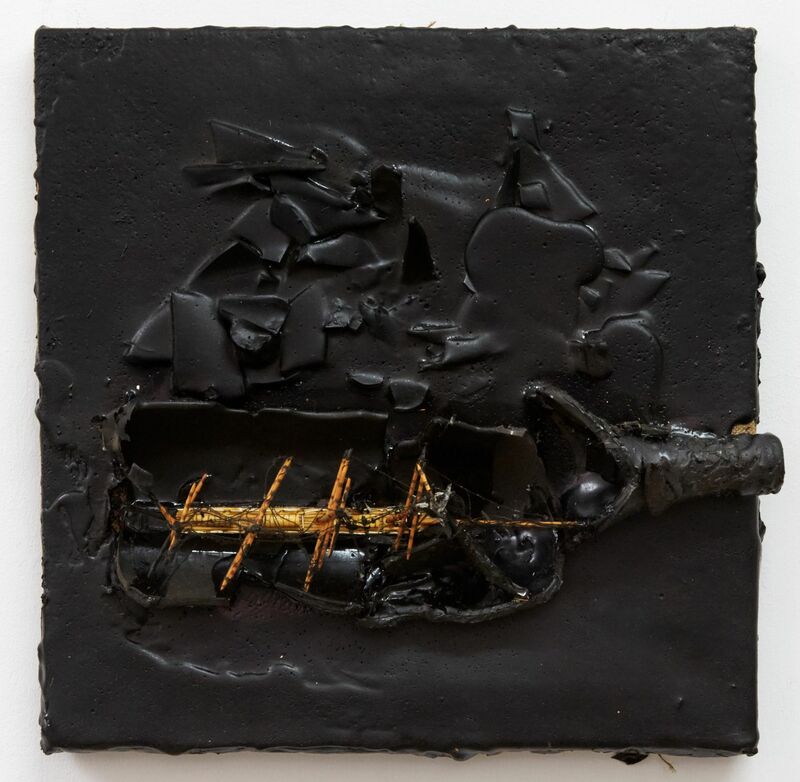 In The Garden he sits at his writing desk reflecting upon his life; in Modern Nature he incorporates childhood memories; and, in these paintings, old photographs are embedded in tar, while a model aeroplane alludes to his father’s career in the RAF. The tar supplies a visceral quality to the works, though the objects immersed in the surface appear frozen. 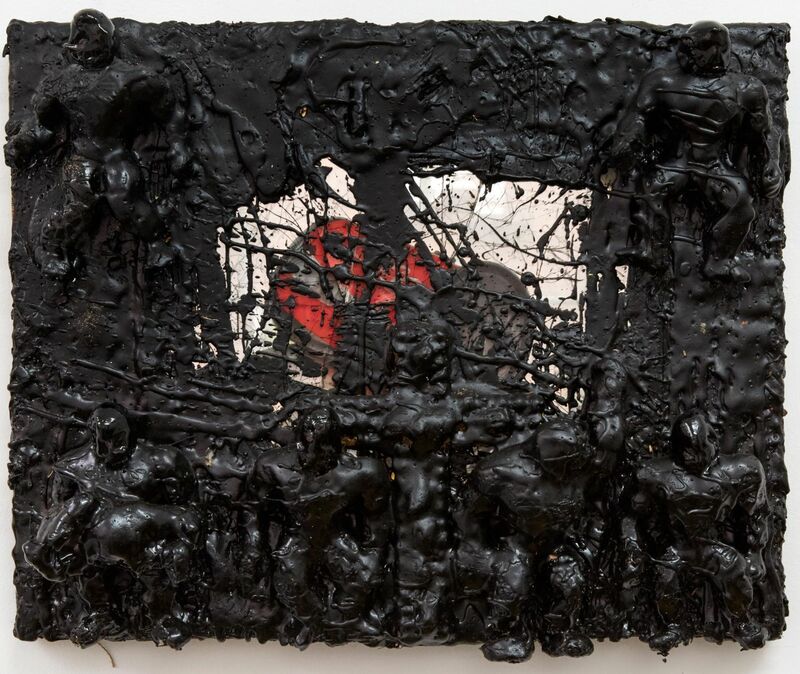 In the case of the tar-covered clock in one of the paintings, we are offered an image of the freezing of time. These paintings have a presence that seems at once energised and static. 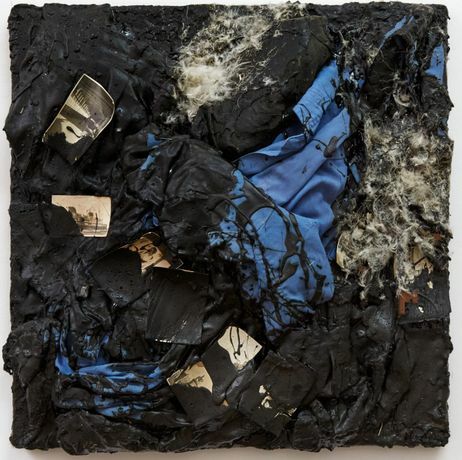 They could be viewed as shadows of the two years in which they were painted, the black tar embracing emblematic objects that reflected Jarman’s struggles during this time in his life. As Mario Perinola suggests in writing about Jarman’s last film, Blue, 1993, the 'staged authenticity' that suffuses Jarman’s work when he draws on autobiographical sources ‘is not a limitation of the work. On the contrary, it’s its greatness’ (3).